James Pearce – the crusher of transfer dreams! 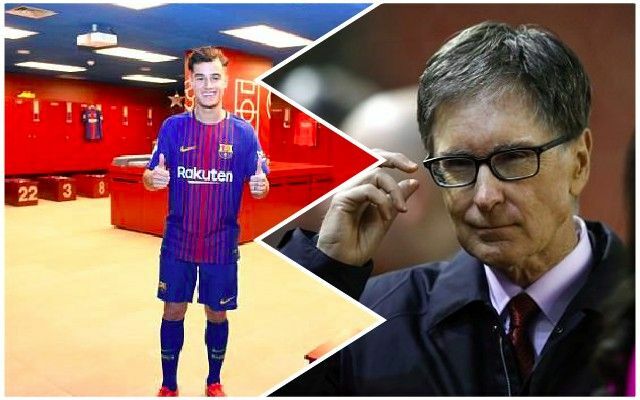 The Echo journalist, who’s a top guy and a top journalist – was recently asked on the Kop on podcast about our targets for this summer – and spoke in length about the chances of getting Coutinho back from Barcelona. The Brazilian has not enjoyed a good season with the Catalan giants, regularly starting from the bench and not trusted by Ernesto Valverde as part of a midfield-three. As a result, his value has plummeted and there’s been multiple reports from sources all over Europe that Barca may choose to cut their losses this summer, having spent insane money on him in January 2018. Pearce though only thinks Liverpool will get involved in any potential transfer discussion if Barca are willing to lower their potential asking price to under £100m. “How much of a hit would Barca be willing to take?” he began. “I don’t think they’d be willing to take anywhere near the kind of hit Liverpool would need for it to be worth their while. I don’t get the feeling from Liverpool that there’s any bad blood there, though. When he went, it was all pretty amicable. Liverpool felt that, you know what, he doesn’t want to be here anymore, we’ve set our price, Barca have met it – good luck to him. That probably makes sense, in all honesty. But would Liverpool take Phil back for say, £80m? We’d have still made a big profit – and he’d come back with the absolute knowledge that Anfield is the place for him. Some fans may be sceptical, but the minute he curled in his first goal from 25-yards they’d quickly change their minds. Coutinho is a phenomenal, phenomenal footballer – and nobody should forget his performances for us, under Jurgen Klopp – in the first half of last season. He was actually our best player, despite Mo Salah, Roberto Firmino and Sadio Mane in the team. If there’s a possibility, we’d be all for it.